As a general rule, I don’t stop my car at railroad tracks. I was driving in an very rural area unfamiliar to me. Realizing that there were no other cars near me, I began to photograph the track in both directions. Laid parallel to the highway and running straight for an impressive distance, the metal rails and wooden ties separated the thick stands of trees creating a passageway far into the horizon. If I were to ride on a train traveling those very tracks, where would I end up? One connection would surely lead to another and countless hours would bring me to destinations unknown. That’s not how it’s done, however. Those boarding a train purchase tickets to be taken to specific locations. Just anywhere isn’t good enough. I think many, many people believe that God exists, yet they feel He is distant and they have no real relationship to Him. If they could buy a train ticket that would take them to God, would they? What if the destination was unclear, but it was guaranteed that He would be there? We can’t buy a train ticket to find God. It’s much easier than that. We need not travel down a long track or a dusty road. No busy highways, or mountainous terrain. If we desire to know God, we may simply seek Him with our hearts and because God is God, He hears us, just as in the days of King Asa. Do you feel He is distant? Call out to Him in prayer. 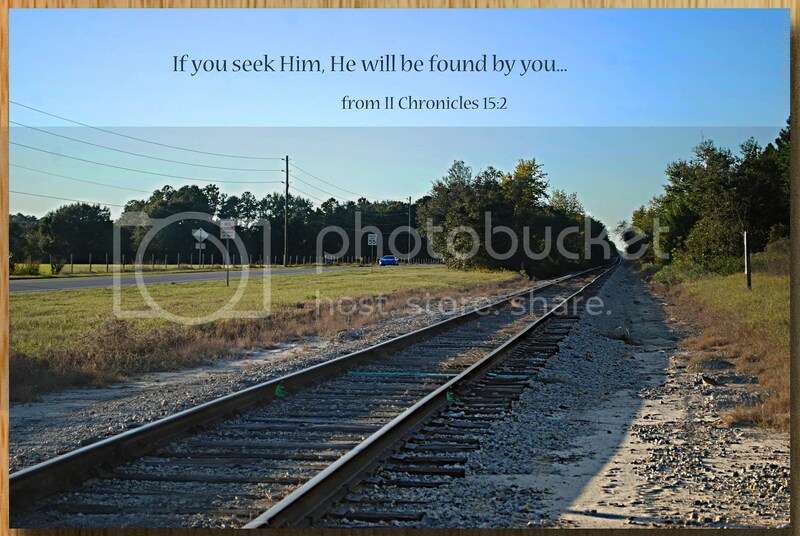 If you seek Him, you will find Him. I just found your blog today and I love how you explain life with God. I just was inspired recently to put words to paper about God and family. Thanks for your inspiration. There is some science to support this. Among the finest to present a tremendous thumbs up to the excellent information you should have below for this article. I will be coming back to your blog for additional quickly.